November 22 and some people are already thrilled about the Christmas spirit, and have even put up the Christmas tree and the decoration in their houses. There is no doubt that Christians around the world and people from other religions have special feelings about Christmas time and festivities, being wonderful times of joy and sharing. However, a huge commercial side of the season goes behind the early presence of the theme in shopping malls and through streets decorations. Year after year, this seems to be brought earlier in time, and people can’t help following the trend and feeling the urge to live the spirit the soonest in their houses. What does the church have to say about that? This article by Scott P. Richert, a Catholicism author and expert goes to say that the basic idea is that the Christmas tree and the decorations should be put up on the afternoon of Christmas Eve. If we have the ability to live the joy of Christmas all year long would we stop ourselves from doing so? If peace comes into our life with what this wonderful decoration brings to our house wouldn’t we keep it forever? We need to feel the spirit longer than just the evening and the day of Christmas. 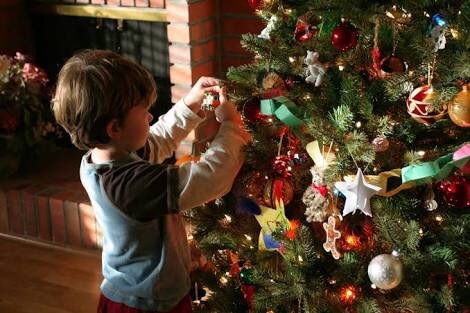 We don’t want the festivities to fade in meaning when the ornaments stay for too long in our houses, and become no different than that painting hung on the wall for years and that we barely notice.